Tenley Armstrong has been solving — and preventing — problems for more than a decade. Tenley is at her best when she’s problem-solving and working to prevent future issues from occurring. That is why she’s trusted by a wide range of clients — including banks, product manufacturers, doctors, pharmacies, college and university coaches, and higher education institutions — to guide them through their most challenging situations. Handling both civil and criminal matters, Tenley represents clients in pre-indictment or pre-lawsuit investigations, settlement and plea negotiations, and trials and sentencing. She handles matters with claims involving regulatory compliance, commercial law, product liability, government contracting fraud, healthcare fraud and public corruption. Tenley’s regulatory work includes counseling clients on compliance with the Americans with Disabilities Act (ADA), False Claims Act (FCA), Stark Law, the Anti-Kickback Statute, NCAA rules and regulations, and Title IX of the Education Amendments Act of 1972. She also has an active practice outside Alabama as regional counsel for product manufacturing clients and has defended a wide variety of cases across the Southeast in Arkansas, Florida, Louisiana, Mississippi, South Carolina, Tennessee and Virginia. In addition to her litigation work, Tenley has significant experience conducting internal investigations for her clients. 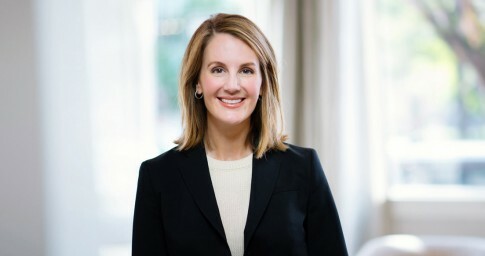 She has investigated a range of issues, including allegations of sexual harassment, employment discrimination and illegal rate-setting against public utilities; improper lending and accounting practices for a major financial institution; corporate board malfeasance for a national transportation company; and allegations of healthcare fraud for individual doctors and pharmacies. Early in her career, Tenley served as legislative counsel to the U.S. Senate Committee on the Judiciary's Subcommittee on Administrative Oversight and the Courts. She leverages that experience on behalf of clients facing investigations or actions from government enforcement agencies. Tenley serves on the firm’s Recruiting Committee and is active in a number of national legal associations. Tenley is a member of the National Association of Criminal Defense Lawyers, the White Collar Crime Committee of the ABA Section on Criminal Justice and the Women’s White Collar Defense Association. She is also past president of the Young Lawyers Board of the Alabama Defense Lawyers Association (ADLA). Tenley, the mother of a son and daughter, enjoys spending time with her family, cooking and watching Alabama football.